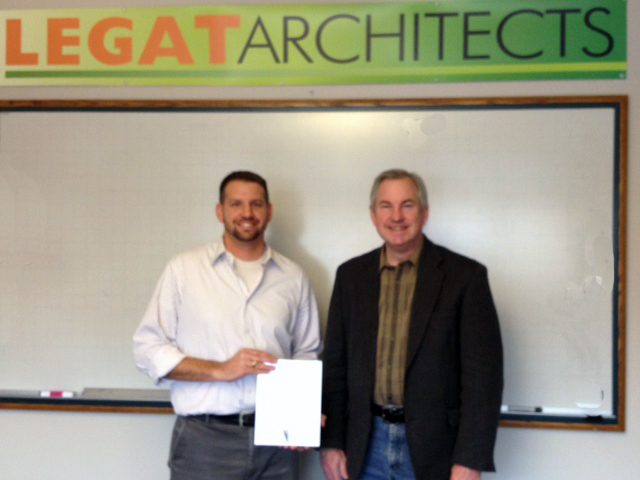 Our 3rd Quarter Winner of a new iPad – Michael Maloney of Legat Architects! Robert (Bob) Kartes, Regional Manager with Advanced Glazings, Ltd. presents our 3rd Quarter winner, Michael Maloney of Legat Architects with his brand new iPad. We hope you enjoy! Michael Maloney of Legat Architects with Robert Kartes of Advanced Glazings, Ltd.